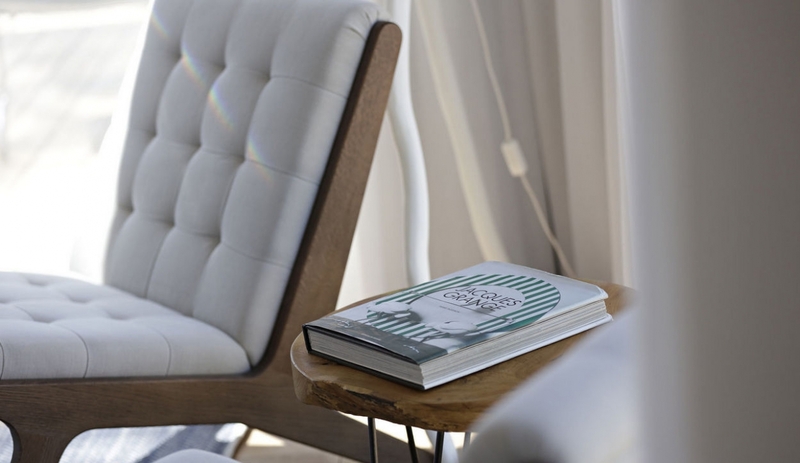 A truly special venue combining tranquility & sophisticated simplicity. 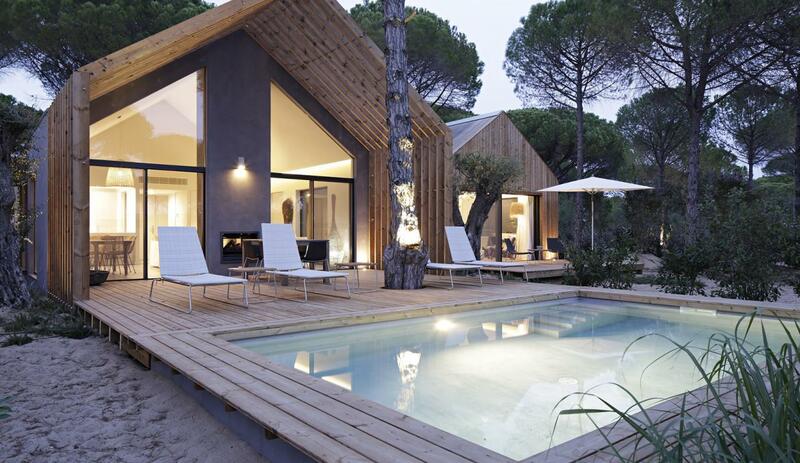 Modern architecture, an eco-friendly ethos and close to Comporta's rugged coastline. 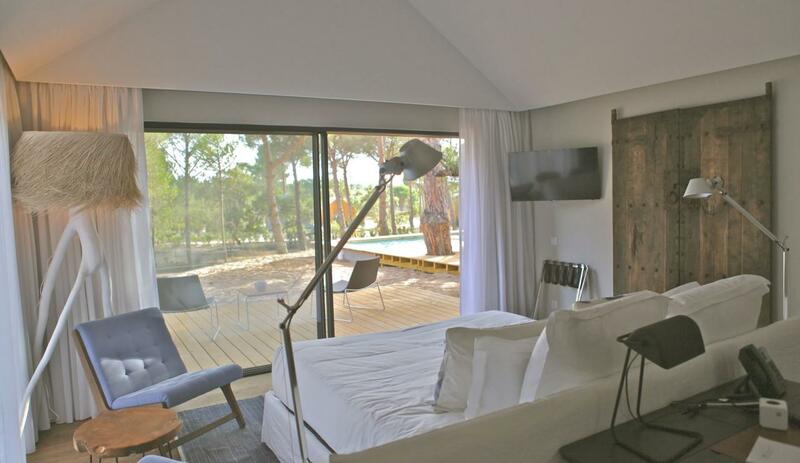 What makes Sublime Comporta a great holiday venue? Justin says this is one of the most beautiful places he's visited in the 15 years he's been visiting Portugal and France. "Genuinely inspiring and unique. 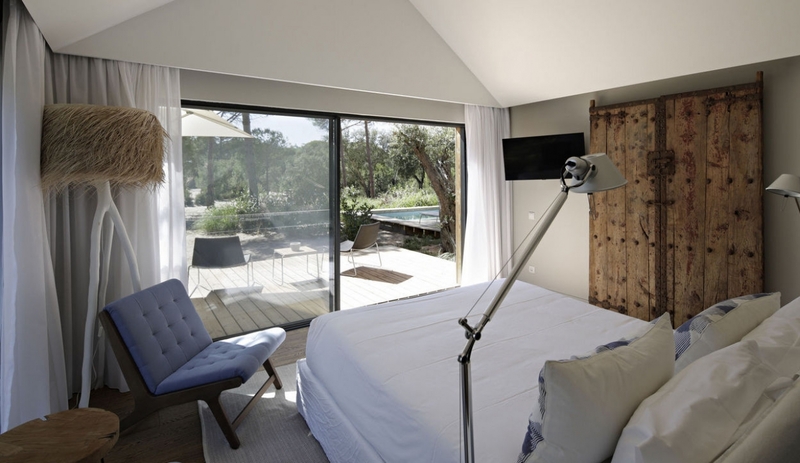 I'm already planning a Lisbon city break + a few nights at Sublime for my wife and I!" 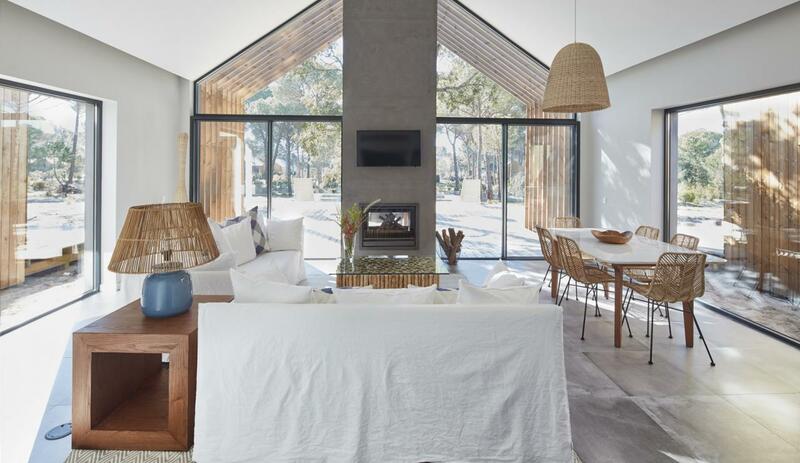 We knew that Sublime Comporta was going to be a special addition to our collection from the moment we stepped into reception - we couldn't stop smiling during our whole visit! 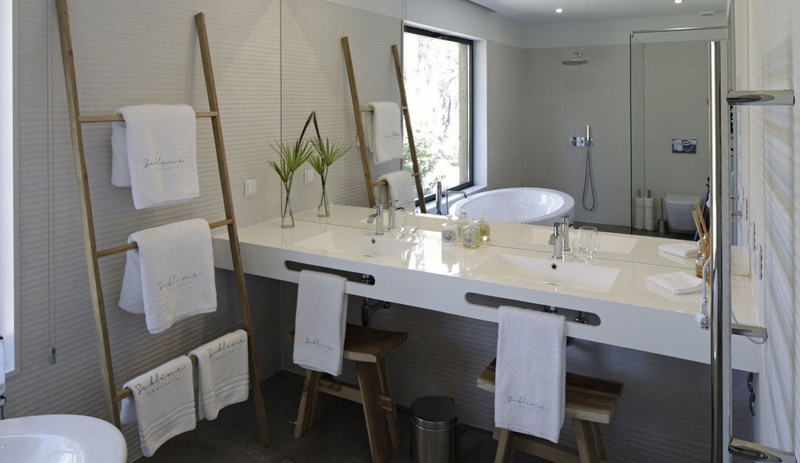 Modern architecture combined with a forward-thinking respect for the environment and a purposeful simplicity makes Sublime an unassumingly luxurious retreat. Here, authenticity is key. 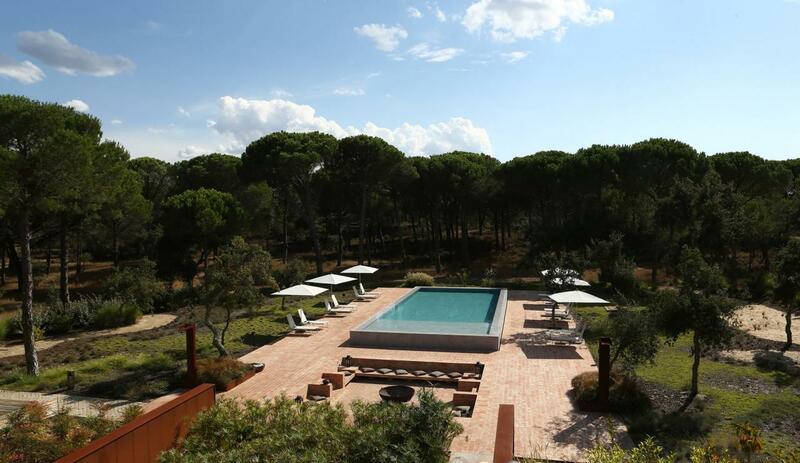 The 17 acre estate with its spa & pool area and innovative restaurant serving fresh local produce combined with the attentive service you would expect from a top hotel, make this a real oasis of calm, with a modern-chic feel. 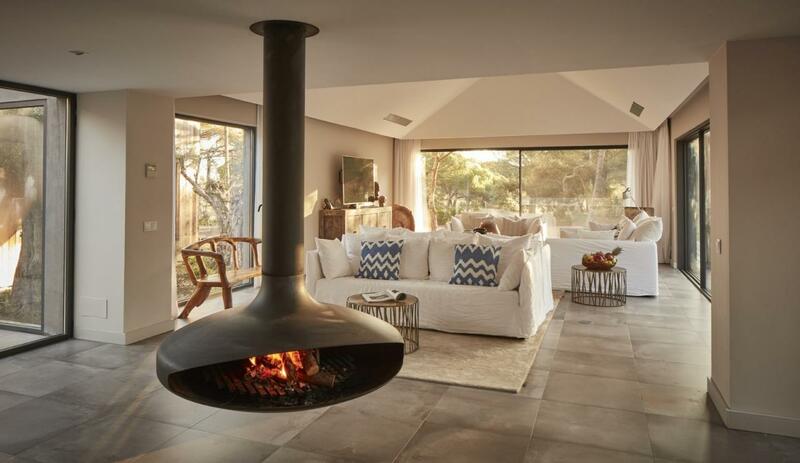 You could easily spend your whole holiday on the estate, or venture out to explore the unspioiled beauty of the Costa Azul and some of Portugal's most stunning beaches. 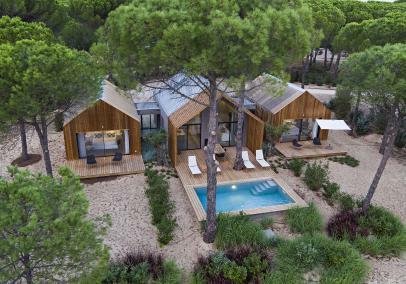 Couples wanting a truly special holiday - the Comporta coastline offers an element of adventure as it is still relatively undiscovered and pulls in some good surf. Children and teenagers are very welcome at the venue, and it would suit families wanting some adult relaxation combined with beach adventures as a family. Toddlers: cots & high chairs are available, babysitting can be arranged, kids club during selected periods. 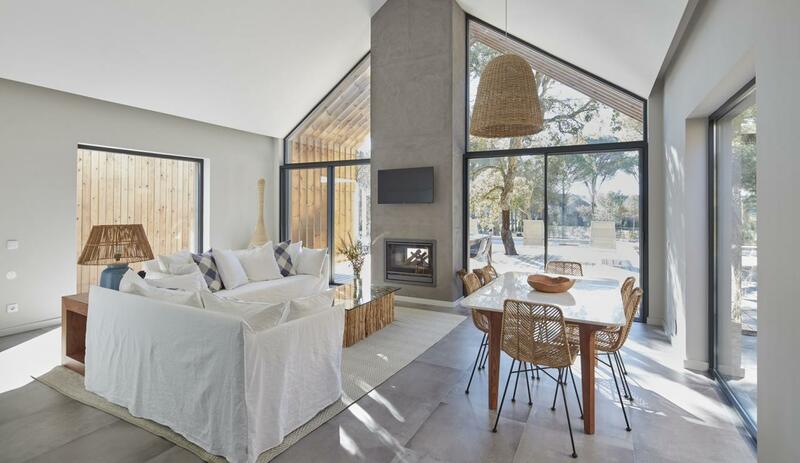 Teenagers: wifi in all the villas, they will love the funky design touches and modern architecture and the off-the-beaten-track feeling. Plenty of activities nearby, including surfing, cycling, horse riding and quad biking - heaven for adventurous teens! 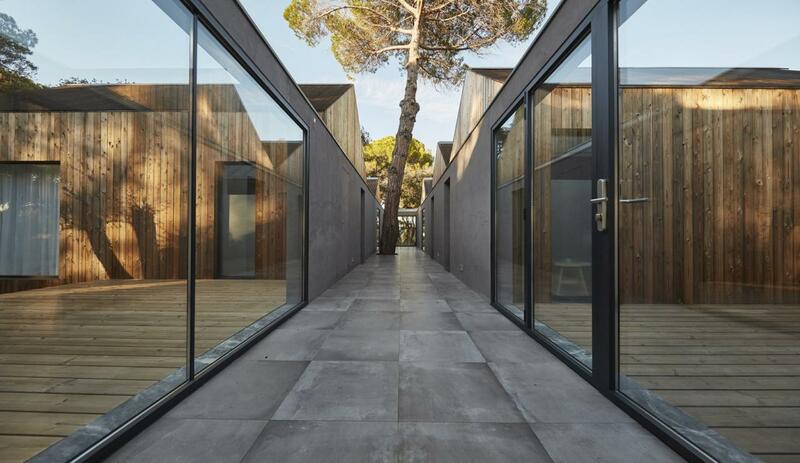 Reduced mobility: the villas are all on one level, access around the site is via wooden pathways & the staff will be very attentive to any particular requirements. A car is essential for discovering the area (but for short breaks you'll just want to put your feet up!). Swimming pools in Portugal aren't guarded/protected. 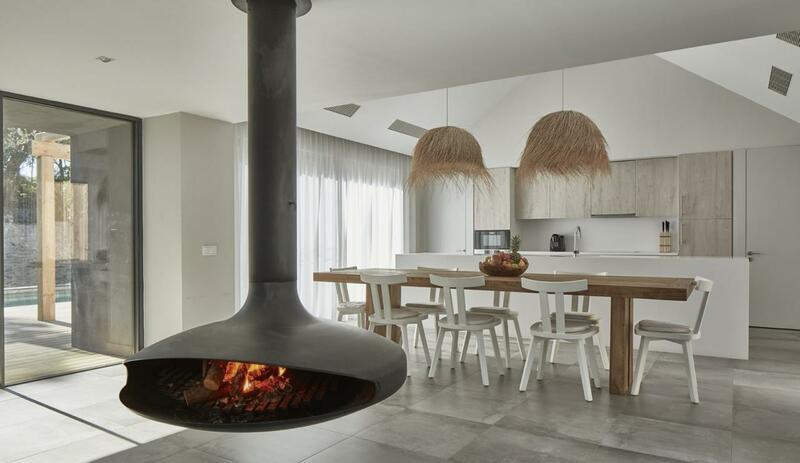 Kitchens are equipped for light self-catering. 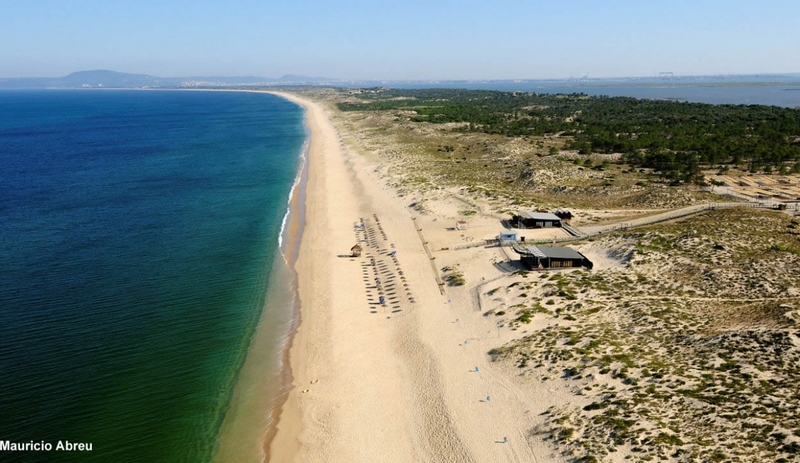 Comporta lies 15 km north and this town is the gateway to the amazing Troia peninsula. The area is very natural and authentic whilst its beaches are pristine - white sands and crystal clear blue sea. Half-an-hour's drive is the pretty river town of Alcacar do Sal with its lovely side streets and tavernas. 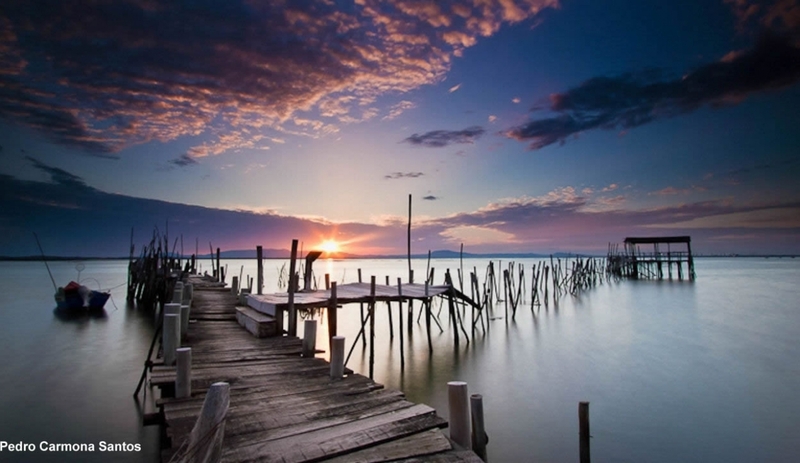 The area will appeal to those who want a distinctive and authentic Portugal holiday with a few activities thrown-in. 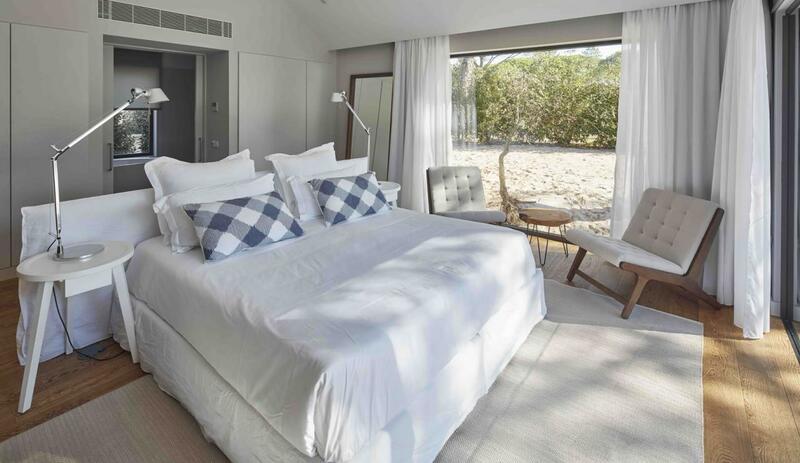 The small number of hotel suites and villas available reflects the resort's 'low-key' ethos and ambience. 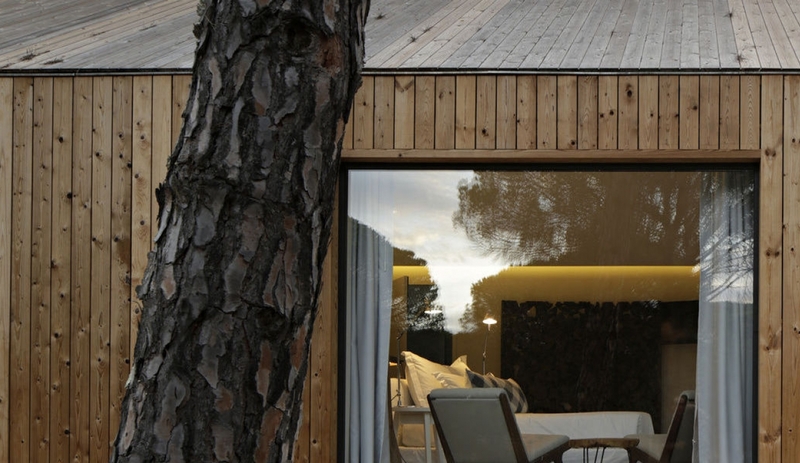 The emphasis is on peace, privacy and 'relaxed luxury'. 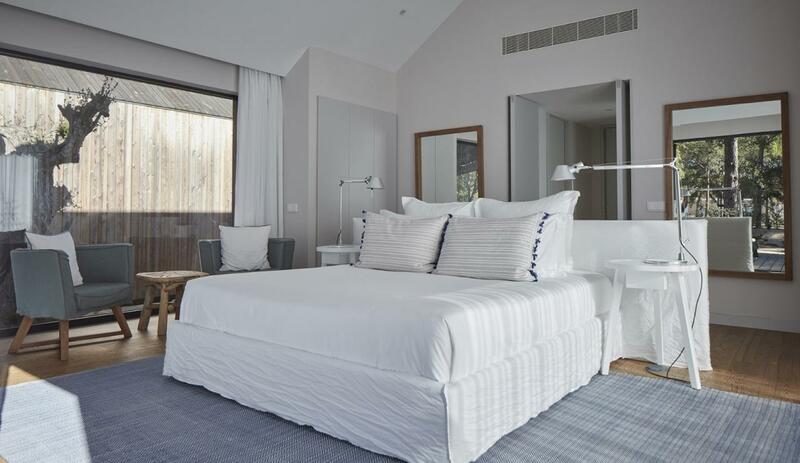 A contemporary take on the region's traditional cabana houses, the 2 bedroom villas have been very cleverly conceived to accommodate a family or couples equally comfortably. 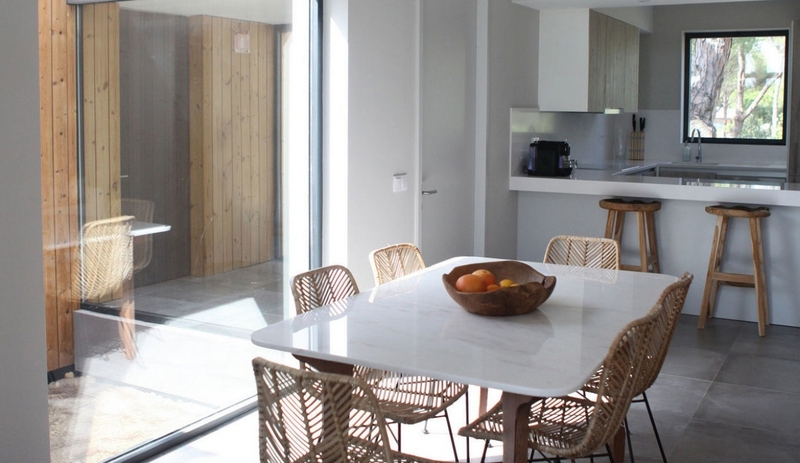 The single-level 'pod' design, with an ensuite bedroom on each wing of the villa and the living/dining room and open-plan kitchen in the centre really is very innovative. 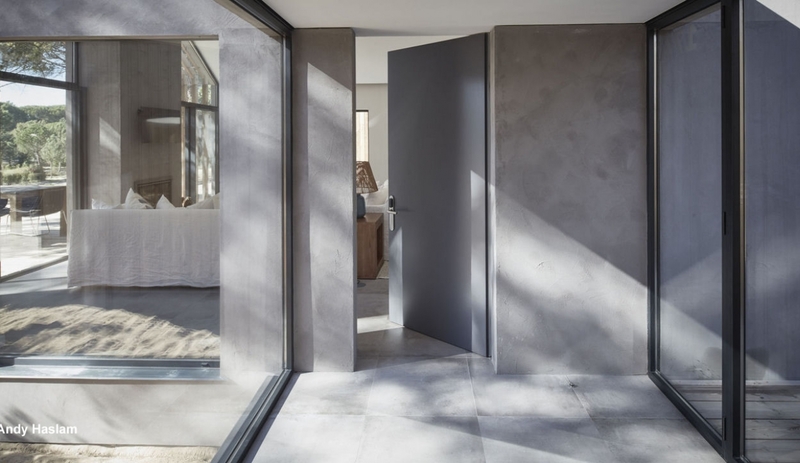 Floor to ceiling doors flood the rooms with natural light. 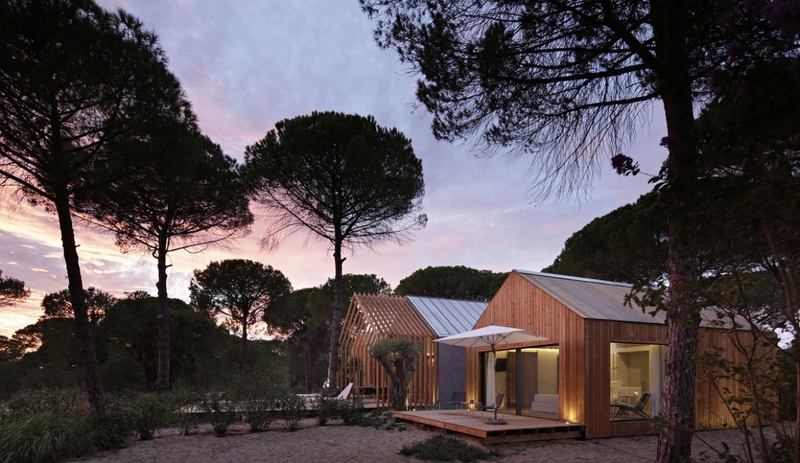 The villas are designed and finished in the same style as the resort of the estate - with plenty of brushed concrete, rustic wood and large glass windows - nestled among the umbrella pines and cork trees. The villas fit beautifully with the natural surroundings and this makes for a really natural, authentic & luxurious experience. 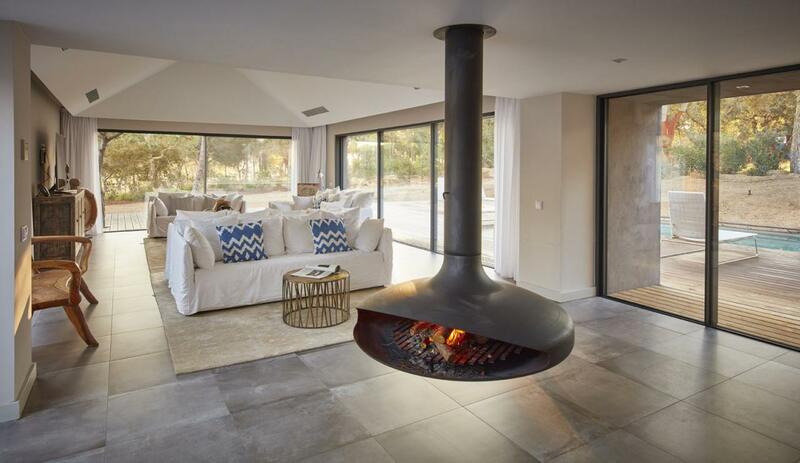 Villas can be rented all year round - winter breaks here are a real treat with cosy fireplaces, rustic dishes served in the restaurant and invigorating walks on the beach! NB The kitchens are equipped for guests who are happy to do occasional, light self-catering but who prefer to eat out on their holiday. As well as the excellent on-site restaurant there are other choices in the surrounding villages. The 3 & 5 bedrooms villas are new for 2018. 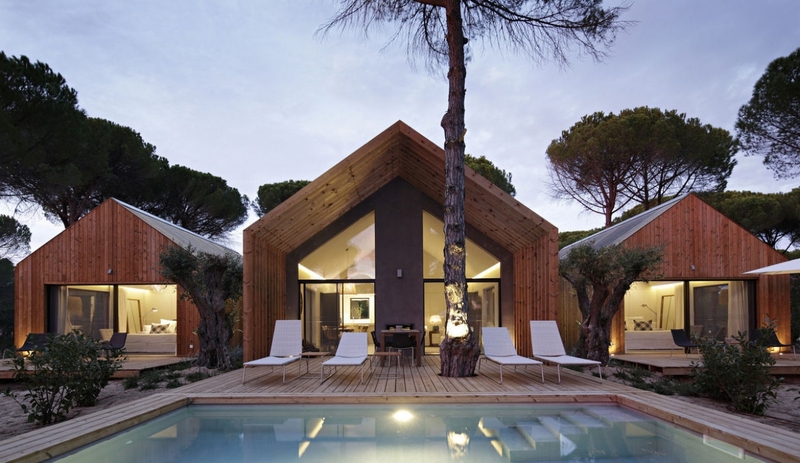 The architecture, design and equipment is the same as 2 bed cabana villas. Every bedroom is en-suite. 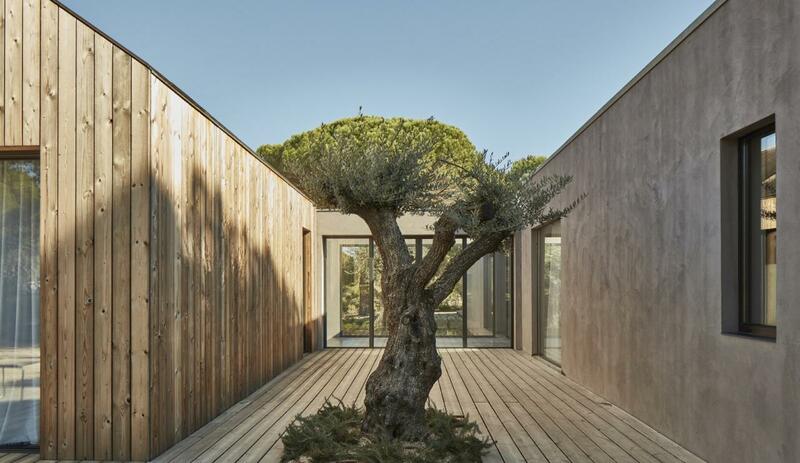 Situated on the Costa Azul, 75 minutes' drive from Lisbon Airport, this is an undiscovered, natural landscape of sand dunes and cork trees. 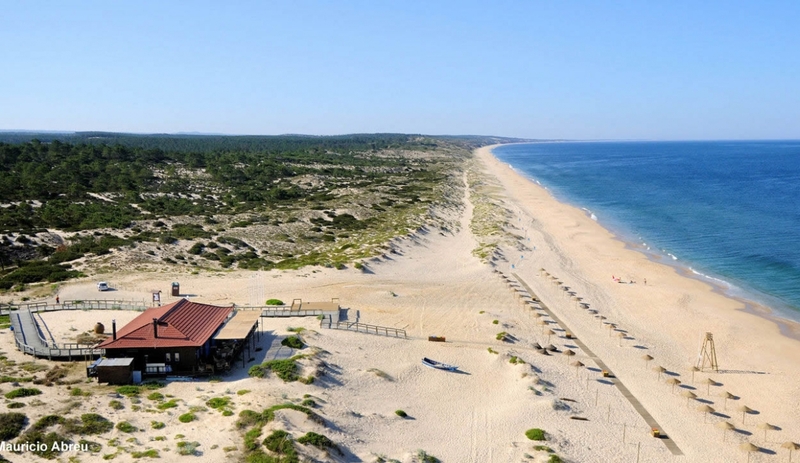 Coastal Alentejo is real Portugal - the perfect place to unwind and relax. 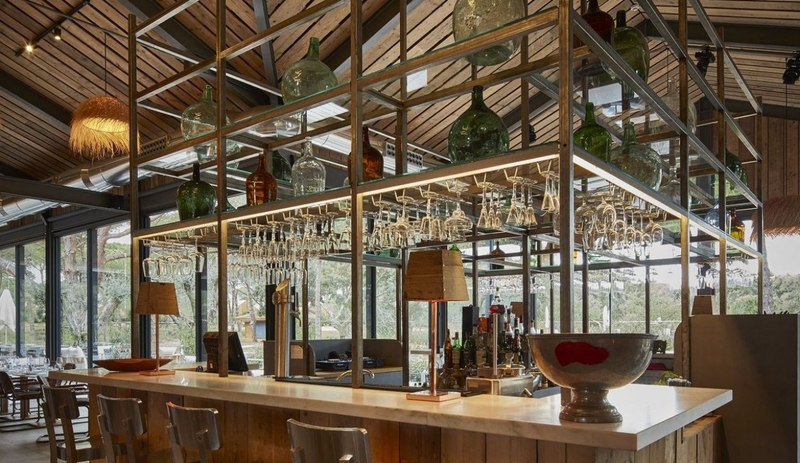 Enjoy the beautifully designed and relaxing atmosphere of the resort restaurant, Sem Porta. Specialising in locally grown & sourced produce, the dishes follow the seasons of the Alentejo. Open for breakfast (included with your rental), lunches & dinners. Enjoy a pre-dinner aperitif in the lobby bar and, during the summer season, the pool bar is open for refreshing drinks. 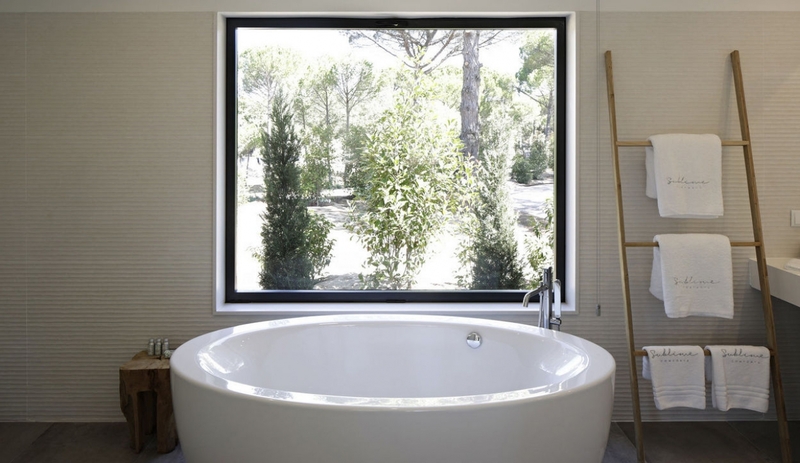 In keeping with the Sublime Comporta experience, the spa area is simply divine. 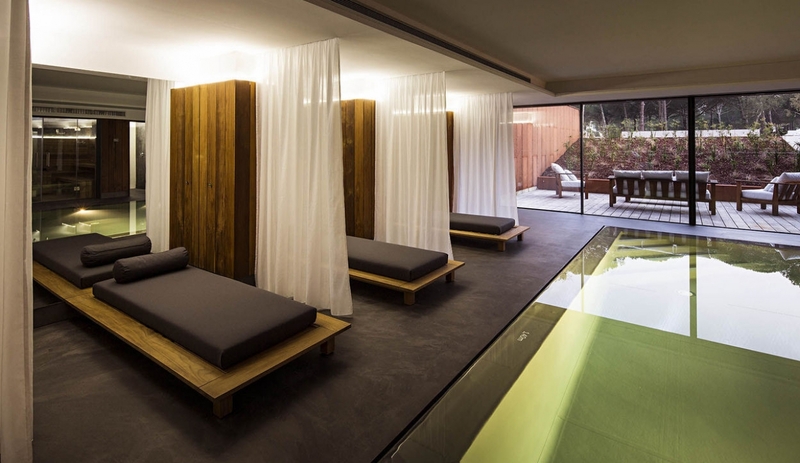 Amenities include indoor and outdoor treatment rooms, a sauna, steam bath and heated indoor pool. A range of treatments are available or speak to one of the spa’s therapists to customise an individual treatment for your needs. Why not start your day by enjoying a massage or private yoga session surrounded by nature in the resort’s delightful outdoor yoga pavillion. Contact us for the Spa menu. 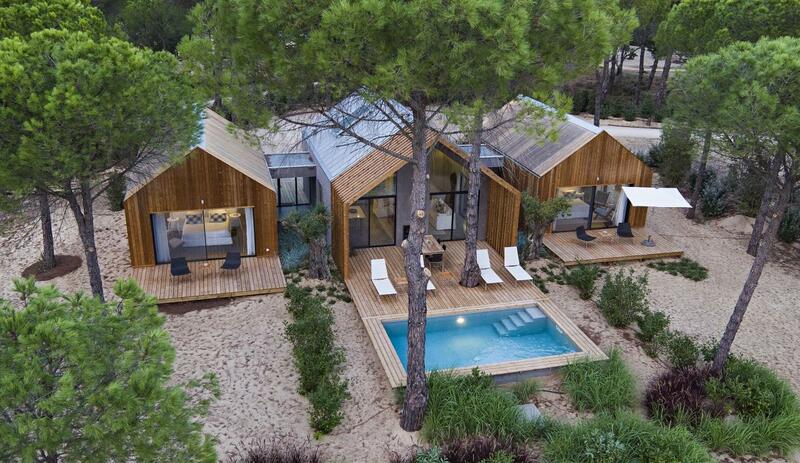 It's very easy to wind-down completely at Sublime Comporta and fall into the rhythmn of the relaxing, natural surroundings! But if you fancy something energetic, the resort has a tennis court (booking required). For those, lime me, who simply must keep exercising whilst on holiday the resort also features a fitness room. Sem Porta restaurant is open daily for breakfast (included in rental price), lunch and dinner. The restaurant focuses on fresh local produce, with many ingredients freshly picked form the organic kitchen garden. 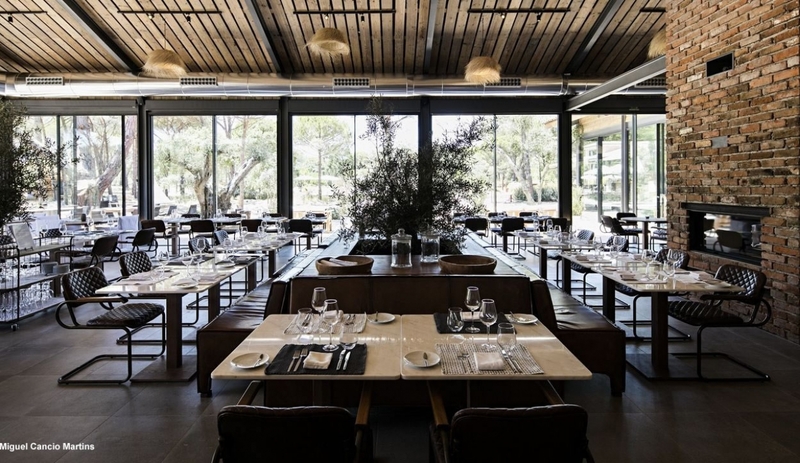 The menu is a vibrant mix of Portuguese dishes, often with an innovative twist, for a true taste of modern Alentejo.